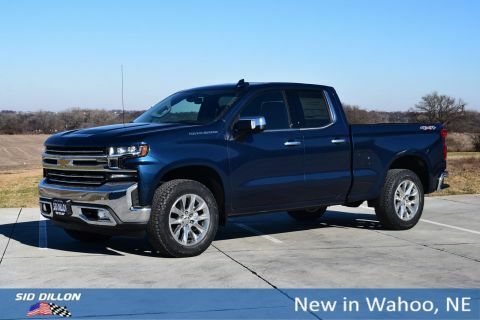 This Chevrolet Silverado 1500 has a strong Gas V8 6.2L/ engine powering this Automatic transmission. WIRELESS CHARGING, WINDOW, POWER, REAR SLIDING with rear defogger, WHEELS, 20 X 9 (50.8 CM X 22.9 CM) POLISHED FINISH. 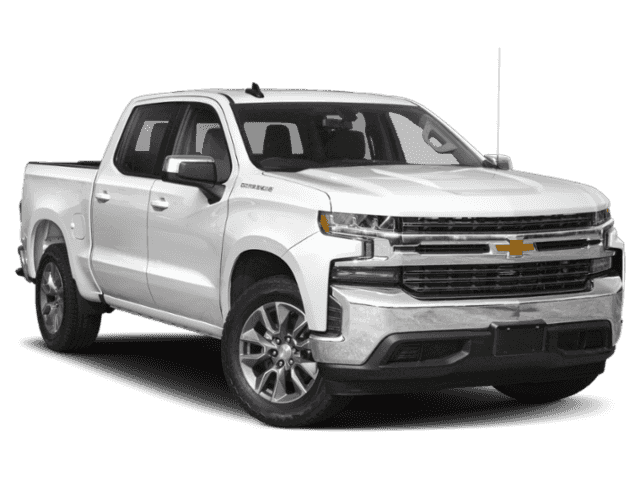 TECHNOLOGY PACKAGE includes (UV2) HD Surround Vision, (DRZ) Rear Camera Mirror, full display and (UV6) 15 Diagonal Head-Up Display Includes (UHS) 8 enhanced Driver Information Center., SAFETY PACKAGE II includes (UEU) Forward Collision Alert, (UHX) Lane Keep Assist with Lane Departure Warning, (UHY) Low Speed Forward Automatic Braking, (UKJ) Front Pedestrian Braking, (TQ5) IntelliBeam headlamps, (UE4) Following Distance Indicator and (HS1) Safety Alert Seat, SAFETY PACKAGE includes (UD5) Front and Rear Park Assist, (UKC) Lane Change Alert with Side Blind Zone Alert and (UFG) Rear Cross Traffic Alert (Includes Perimeter Lighting., LTZ PREMIUM PACKAGE includes (PCZ) LTZ Convenience Package, (PCN) LTZ Convenience Package II, (PQB) Safety Package, (PDJ) Safety Package II, (CF5) power sunroof and (RD2) 20 Polished finish wheels, LTZ CONVENIENCE PACKAGE II includes (IOT) Chevrolet Infotainment System with Navigation and 8 diagonal color touch-screen, (UQA) Bose Premium Audio System and (K4C) Wireless Charging, LTZ CONVENIENCE PACKAGE includes (A50) bucket seats with (D07) center console, (KQV) heated and ventilated front seats, (A48) rear sliding power window, (UG1) Universal Home Remote, (MCZ) 2 USB ports with auxiliary input and (QT6) power up/down tailgate; Crew Cab models include (KA6) rear heated seats , USB PORTS, 2 (FIRST ROW) LOCATED ON INSTRUMENT PANEL, UNIVERSAL HOME REMOTE, TRANSMISSION, 10-SPEED AUTOMATIC, ELECTRONICALLY CONTROLLED with overdrive and tow/haul mode. 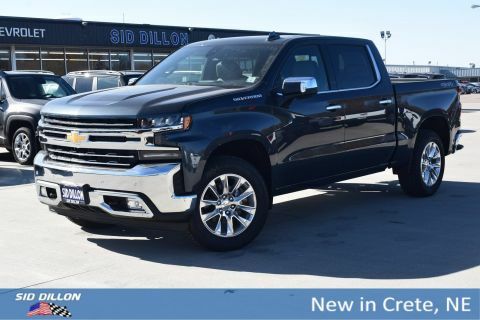 Includes Cruise Grade Braking and Powertrain Grade Braking, TRANSFER CASE, TWO-SPEED electronic Autotrac with rotary dial control. 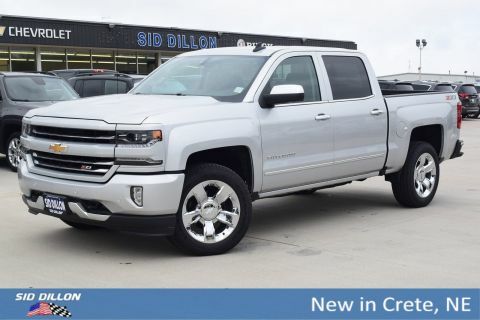 A short visit to Sid Dillon Wahoo located at 1750 County Rd J, Wahoo, NE 68066 can get you a reliable Silverado 1500 today!